Are you sure you want to remove Historical illustrations of the fourth canto of Childe Harold from your list? in English - 2d ed., rev. and corrected. 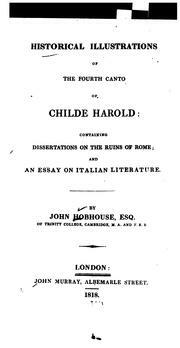 Historical illustrations of the fourth canto of Childe Harold: containing dissertations on the ruins of Rome; and an essay on Italian literature. 1818, Published by Kirk & Mercein ..., Printed by William A. Mercein. 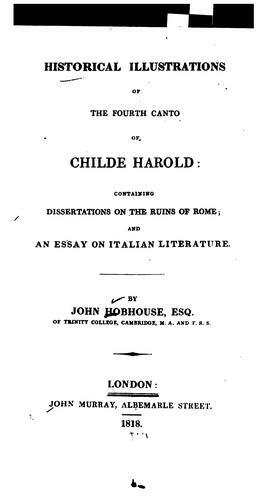 Historical illustrations of the fourth canto of Childe Harold: containing dissertations on the ruins of Rome; and, An essay on Italian literature.